Managing organizational cognition and learning has been the subject of many studies and publication and is considered a major source of competitive advantage in the knowledge-based economy in knowledge intensive and traditional business. Organizational Cognition and Learning: Building Systems for the Learning Organization addresses the concept of organizing that is centered around collective learning in organizations and on the learning organization paradigm. Organizational Cognition and Learning: Building Systems for the Learning Organization presents a theory of organizational learning based on a model of organizational memory, explaining organizational processes and dynamics through which organizational memory is built and updated. 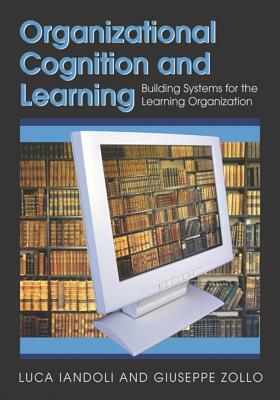 Organizational Cognition and Learning: Building Systems for the Learning Organization provides a methodology and several tools to elicit and map organizational memory contents, based on the analysis and modelization of discourses through qualitative and quantitative techniques, examples of applications, implications for practice, and a research agenda for the development of methodologies and systems for the learning organizations.